Cable rail is applicable for interior applications too. 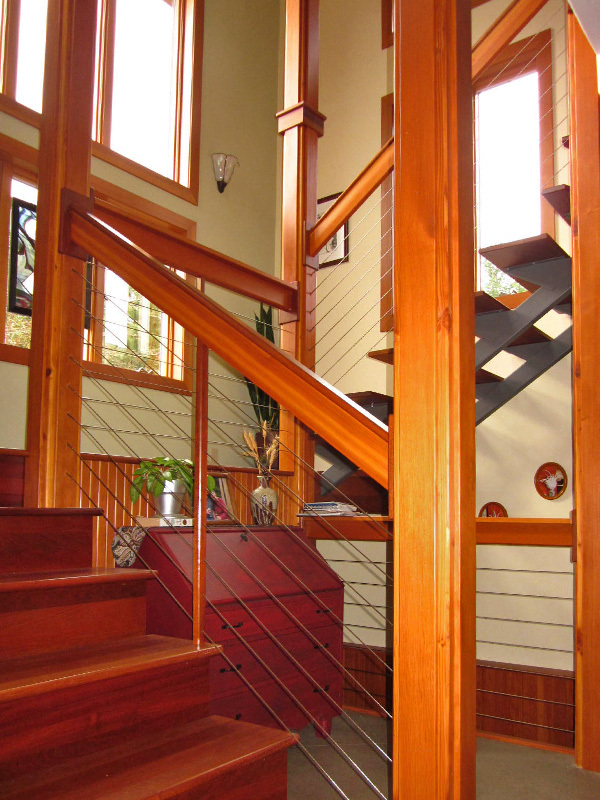 Open stair systems, landings, balconies: anywhere you have a traditional stair system with balusters and rail you can install cable rail. Cable – 1/8″, 3/16″, and 1/4″ diameter; high-strength, low-maintenance, weather-tough, 316-grade stainless steel. Posts – Metal or wood; new or existing; you have options! Spacing is important; cable is flexible and requires intermediate support. Hand rail – Anything goes, as long as it meets codes. 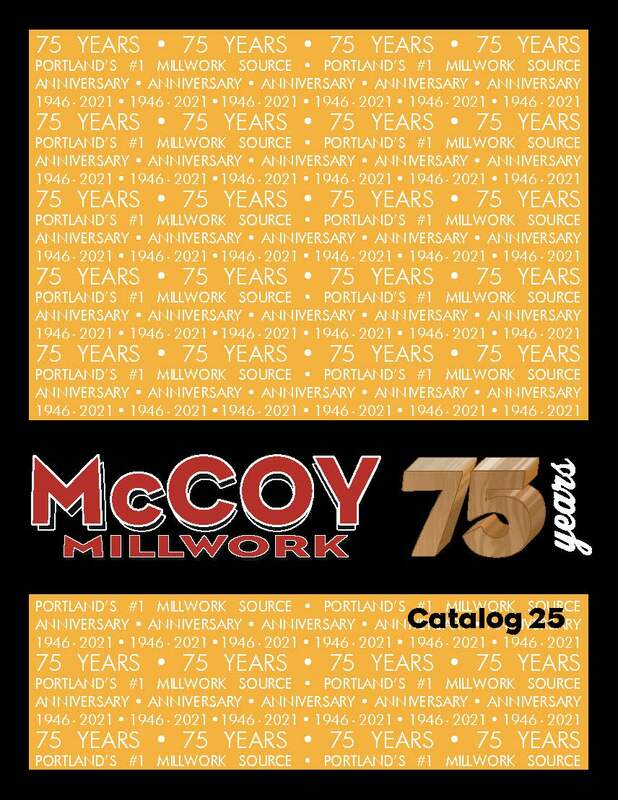 McCoy Millwork stocks Standard Assemblies; everything you need in one package. Start with the Threaded Terminal fitting. This end is factory swaged to 1/8” cables in 5’, 10’, 15’, 20’, 25’, 30’, 40’ and 50’ lengths and comes with a washer and nut. Finish with the Quick Connect®SS fitting with washer. Feeney Cable Rail makes measuring and installing a snap. Pre-packaged, complete kits make selection simple; Installation instruction and technical support make Feeney Cable Rail user friendly. Not sure what you need? McCoy Millwork can help you find out. Bring us your plan and we’ll do the take off work. The result: durable, almost invisible stair rail. 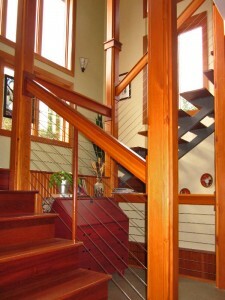 This entry was posted in Product information, Stairs and tagged cable rail, stairs.